Louise Suggs, a founder of the Ladies Professional Golf Association and one of the greatest female golfers of all time, has died aged 91 in Florida. As a teenager, she won the 1947 US Women's Amateur, the 1948 British Ladies Amateur and the 1949 US Women's Open titles. She won a title in every season of her professional career, finishing with 61 victories, including 11 majors. In 1957 she became the first player to win a career Grand Slam. 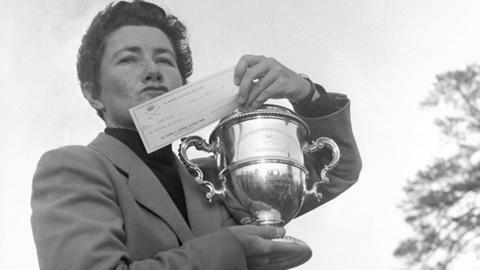 The LPGA Tour rookie-of-the-year award is named after Suggs, who was one of 13 women to help set up the LPGA in 1950.